Will Shakespeare was right. "What's in a name? That which we call a rose by any other name would smell as sweet." - Romeo & Juliet, Act II, Scene II. The very same thing can be said for this cookie. I know them as Magic Bars. You might know them as Dream Bars. Or Hello Dollies. Or 7 Layer Bars. Whatever you call them, they are delicious and easy and you need to make them right now! I was really, really hungry for these bars. I'm a sucker for anything with a graham cracker crust. I used to make them a lot when I was a kid. The recipe was in nearly every women's magazine and was also on the can of milk. 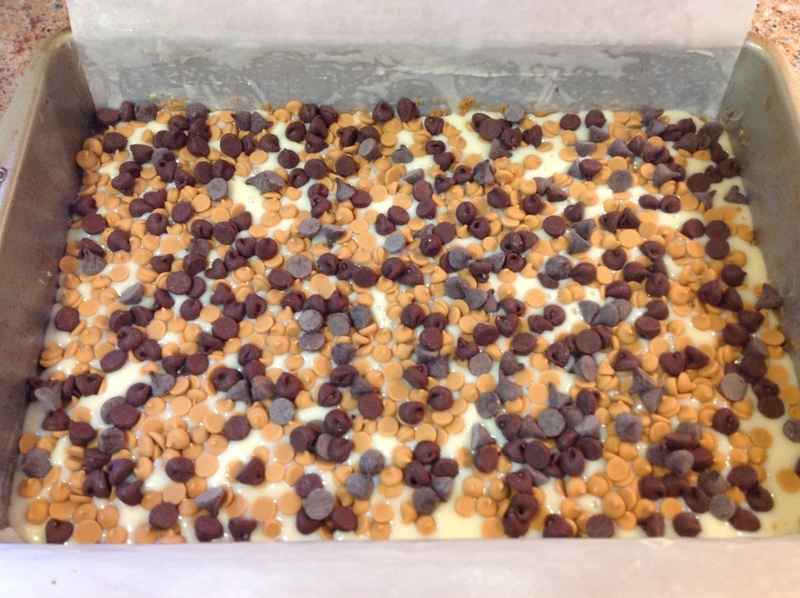 I searched and found the recipe online - Eagle Brand Condensed Milk Magic Bars. As one of the names suggests, these cookies have only 7 ingredients - graham cracker crumbs, melted salted butter, sweetened condensed milk, butterscotch chips, chocolate chips, sweetened shredded coconut, and chopped pecans. Right; let's get to it, shall we? Let the bars cool a few minutes then use a knife to separate the edges from the side of the pan. After they have cooled, cut the bars into squares and serve. Mmmmmmm! No matter what you call them, these cookies are just plain GOOD!